Lanzarote is more than just the sun and the beach; Lanzarote is fire and rock, sea and sand – nature in its maximum splendour. Over time, the people of Lanzarote have had to adapt to this inhospitable land, developing special techniques to take advantage of the resources that the habitat offers for their survival. Thus they have learned unique cultivation techniques found nowhere else in the world, as a result obtaining products that the palate of any visitor would be delighted to taste. 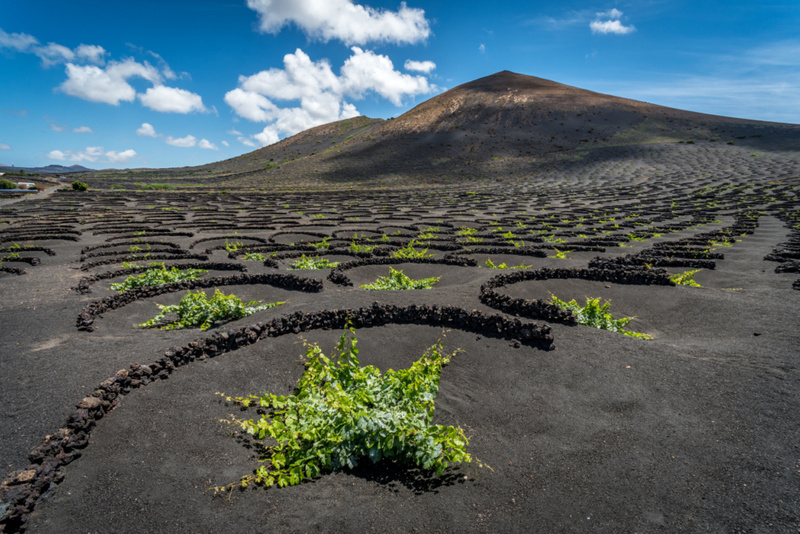 In this context, the wine of Lanzarote is more than just wine; it is lava, sun, ash… the land of Lanzarote is generous, and in spite of the lack of rain, the lightest of drizzles brings the land to life.  The agricultural area of La Geria is a clear example of this.  Here, the agriculture has adapted to the volcanic surroundings giving rise to scenery that is like no other in the world and that many have compared to an extraterrestrial landscape. This distinctive way of growing the grape or vine arose by necessity. After the volcanic eruptions, the local farmers dug deep holes in the ash-covered land to reach the fertile earth below, and although the lapilli might initially look like it is the problem, at night it gathers moisture, providing the vine with the cool and damp it needs for the sunny days. These large hollows, and the stone walls built around them, protect the plants from the ocean winds that scourge the island. This distinctive method of cultivation can be seen mainly in the central area of the island, on the route that goes from Monumento al Campesino (Monument to the Farmer) to Uga. Along this road there are also a large number of bodegas (wineries) that can be visited. 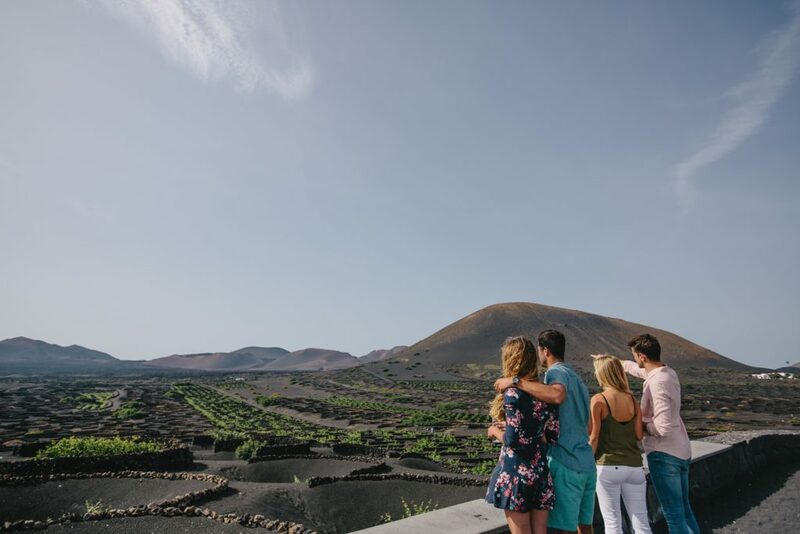 We recommend stopping on your way to taste the wines made from Malvasia grapes grown on volcanic rock, while contemplating this unique landscape. 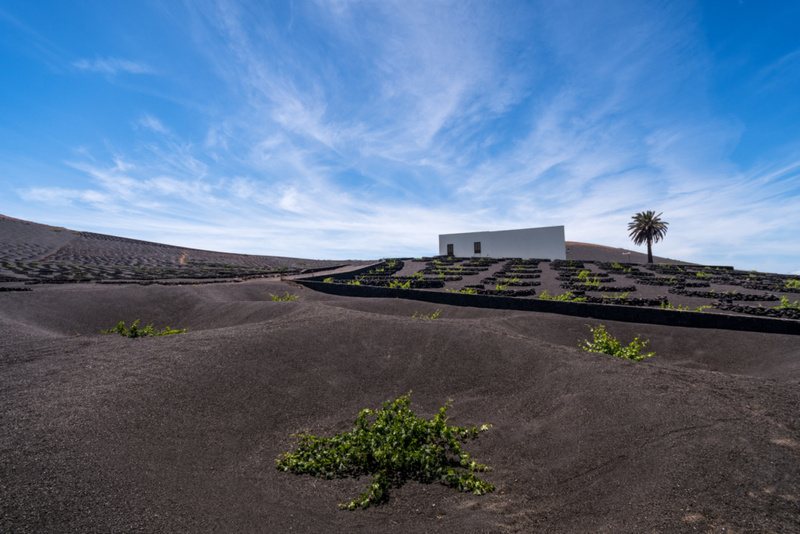 More information on Lanzarote’s wines and the wineries. The music festival Sonidos Líquidos (Liquid Sounds) is also celebrated here every year. This festival has a very distinctive format, in which music is paired with wine from the island, all while enjoying the landscape of La Geria.